The latter part of the month of December each year is usually a special time for people of all areas of the globe, regardless of religious bent or lack thereof. Every major religion, it seems, has a day during this period for honoring an ancient patron of their movement, and even the most cynical agnostic takes time during the holiday season to relax and reflect upon the passing of another year. Because a new year is quickly approaching, individuals have a tendency to take stock of their lives, and the idea of “new year resolution” begins to flitter about the thought processes. Health centers and weight loss institutions will confirm that January is the busiest month of their business year as well-meaning individuals attempt to change the course of their lives. December in the Downing household has always been a special time. Being a product of down home, southern, Christian, Anglo-American influences, the Downings have always celebrated Santa, Frosty, Rudolph, and all the other traditional players in the secular Christmas tradition, but we also understood that the true reason for Christmas was found in the New Testament. This understanding for the R.L. and Ethel Downing family was evident even before they became regular church goers, because it was part of the fundamental fabric of America. Believe it or not, America was once a Christian nation with Christian principles interwoven throughout the social interaction of its citizens. This little treatise is a not another rant about how America is going to the…um..dogs…in a handbasket (whether it be true or not), but in a much lighter tone simply a remembrance on my part of the more pleasant events surrounding the Christmas season. The R.L. and Ethel Downing family, consisting of said parents along with favorite son Bobby (me) and daughters Judy, Kathryn, and Mary, was tradition-minded down to the core when it came to Christmas, and every new season meant a big tree, decorations, and gifts. Of course, in the early years of 1943-1947, basically the entire family Christmas universe swirled around me, their only child, and I confess that my memory, though fairly sharp in some areas, is a little vague during this time. In 1947 my first sister, Judy, came along and messed up a good thing for me, since then I had to share toys. Regardless, somewhere during these early years I received two toys which I remember to this day. The first was a wooden truck which my dad made by hand for me. In another of my blogs I wrote how those early years were a struggle for my parents, and store bought toys were a rarity, so to me the home made truck was as good as any in the store. By the next year, however, things must have improved for my parents, because I received a red, all metal, battery powered fire chief’s car that would run around in circles with a red light flashing. I was amazed at the technology. After my family moved to 206 Hafer Street (see blog, “206 Hafer”,) Christmas became a big partying affair with Downings from far and near converging on our household for Christmas celebrations. My dad made a recording on Christmas Eve, 1948, of the Downings in party mode which I now have on CD. Seventy years later, it reminds me of how far we have come since those pre-church days. Sadly, of all the Downings whose voices are on the CD, I am the only living survivor left…and that includes the children whose voices are preserved on the recording. When I listen to the CD now, I feel a little...lonely. Big events in toyland, though! I’ve mentioned before that my dad would be termed today a techno-geek because he enjoyed the latest in electronics. Consequently, I received a movie projector one Christmas on Hafer Street, along with 16mm movies of The Three Stooges, Bugs Bunny, Hopalong Cassidy, and Gene Autry. Neighbor kids would come over and sit in awe as we watched Moe slap Curly (just like in the pitcher shows!) Although the projector went away years ago, I only recently pulled the old 16mm cartoons out of a box and watched them crumble before my very eyes. Celluloid movies are not lifetime movies. The crowning Christmas gift of my early childhood came just before my family moved to the farm. I received a Lionel electric train set, complete with transformer, uncoupler, whistle, and track. Made of heavy cast metal, the engine was a work of art. I would set up the track on the floor and watch for hours as the train followed its assigned path, engine chugging real smoke from the stack and whistling loudly at the crossings. The train set saw heavy use in its first few years and then went into storage, only to be unboxed and run every few years during fits of nostalgia. As recently as seven years ago, I built a new track for it in my garage and renewed my memories as I watched that old train make its circle. I showed it to my grandson, and there was not a single spark of interest. Not a soul in the family gave it the slightest attention. No video and no keyboard, you know. So after sixty years of enjoyment, I put the whole set on eBay and sold it for a lot more than what my dad paid for it. It was hard to take it to the post office and see it go away. 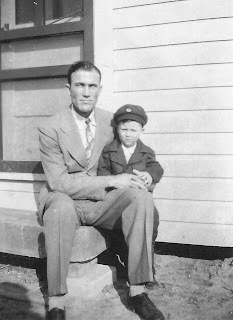 By the early fifties, we had moved to the farm (see blog “Animal Farm”) and I had two sisters. Among us three kids, we made sure the spirit of Christmas stayed strong. 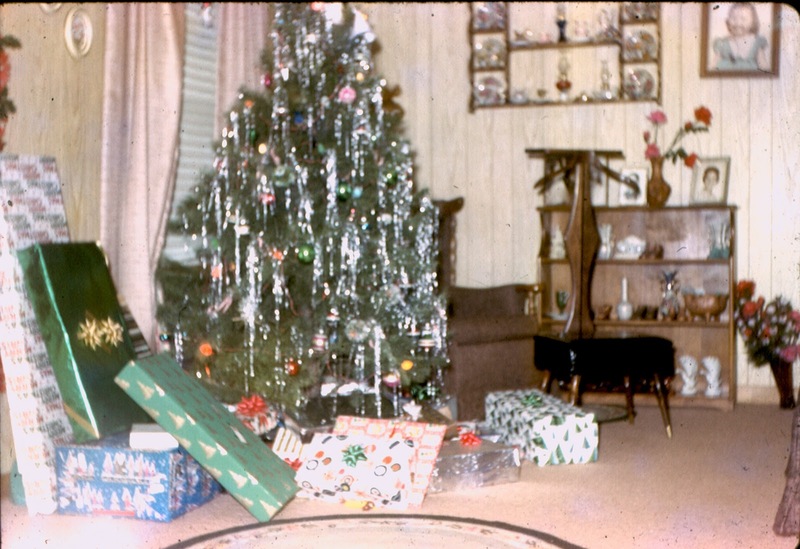 Our Christmas tree was always large and well decorated, and the old phonograph played only Christmas carols the month of December. By now Mom and Dad were better situated financially, and we kids could always look forward to some cool Christmas presents. Mom and Dad never overindulged us, but we received more than enough to keep us happy. The problem that we kids had was when Mom and Dad started putting gifts under the tree sometime around December 10, we couldn’t stand it. We agonized over what the gifts could be and shook, rattled, and rolled each one trying desperately to guess what each one was. It was wonderful torture. Eventually we would whine, wheedle, and cajole Mom and Dad into allowing us to open a gift before Christmas day (just one!). We would, of course, promise that we would never ask again, and usually Mom and Dad would crack and allow us to open a gift…of their own choosing. I think they were protecting the big gifts until Christmas, because what we would wind up opening would be something like new underwear or a pair of socks. However, that strategy would backfire sometimes when we would show a little disappointment in our new socks and reinstitute our whine for opening another gift. Our family began to grow in 1959 when my last sister, Mary, was born, and in 1961 I brought home my bride, Shirley, but the traditions continued. The tree, the music, the celebration (both of the season and of family) continued. Actually it worked out pretty well for Shirley and me. Since her family had deep Christmas family traditions also, it was now possible for she and I to enjoy Christmas twice every year by visiting and celebrating with each household. 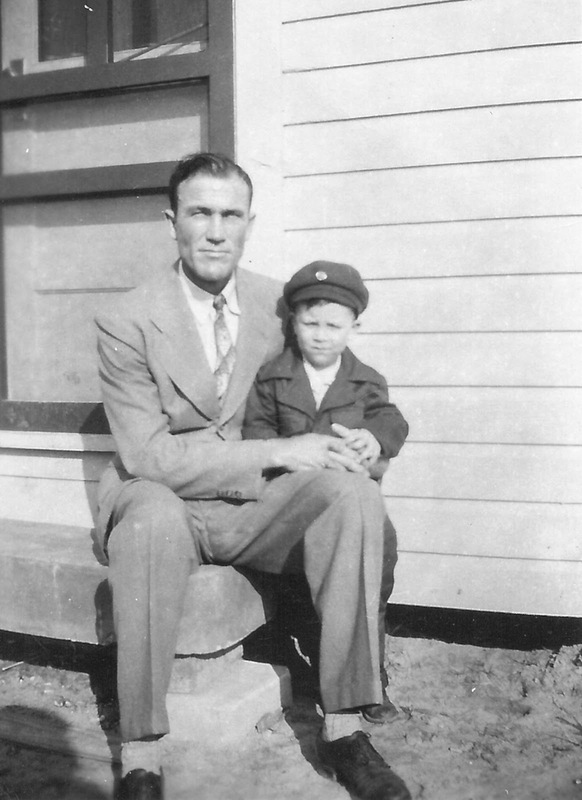 In the early fifties another tradition, not necessarily family, began. After Mom and Dad became part of Peace Tabernacle, they met a very musically talented woman, Miss Anniedeen Bateman, who every Christmas season directed a church choir in presenting a Christmas "cantata" (choir arrangement) to celebrate the Christmas story. We young people, once we hit the teen years, were expected to participate in the agonizing practices and final presentations. We moaned and groaned, but she wouldn't take no for an answer. Once the final performance was completed, however, we felt a certain amount of pride in our work. For nearly fifty years, Shirley and I participated in Christmas programs, and though they required lots of work, the cantatas became part of our Christmas tradition. In 1971, while we lived in Tulsa, Oklahoma, I actually directed a Christmas choir myself, but mercifully there were no accomplished music directors around to see my amateurish efforts. Shirley's mother passed away in 1957, and eventually my father-in-law married Miss Anniedeen Bateman, and my new stepmother-in-law worked us unmercifully every Christmas season in an unending series of cantatas, both in Texas and in Wyoming. Unfortunately, our participation in Christmas programs has diminished dramatically in the last few years, primarily because the traditional Christmas programs generally have been cast aside in favor contemporary musical gibberish designed to impress the listener with one's musical talents rather than celebrate the Christmas story. The mid sixties brought changes in our schedules, as Shirley and I became military participants and even more so when we became parents. In 1965 Shirley and I spent Christmas alone in our apartment in West Berlin, Germany, thousands of miles away from family. In 1966 I spent Christmas totally alone in West Berlin. Shirley had gone home earlier in preparation of the birth of our son, and I volunteered for extra duty to keep my mind off the idea that I was miles away from everyone I loved. When our son came along, we suddenly had three Christmas traditions to sustain…the Downing, the Creel, and our own little family. Being blessed with good memories of our respective family traditions, Shirley and I followed the same pattern as we begin to establish our own Christmas experience so that by the time our daughter was born, we were flying under our own power with our own preferences for trees, our own favorite decorations, and our own children to make happy. The only time I ever had problems with the Christmas season was just after graduation from college when I became a manager for Sears, Roebuck and Company. This was back in the day when Sears was the big dog in retail sales and controlled a major portion of the market. It is difficult for workers in retail sales to get the Christmas spirit because of the shopping preparation and pandemonium which lead up to Christmas Day. For seven years, Christmas Day was more than anything else a day of extreme relief that the season was finally over. 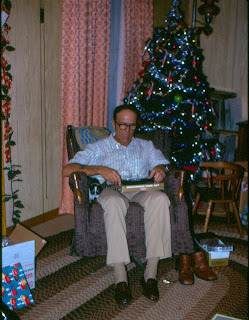 We lived in Wyoming for seventeen years, but as far as I remember, we missed only one Christmas with our Creel and Downing parents. The Creels were, of course, with us in Wyoming, but the Downings were still in Baytown, Texas. So every Christmas season we drove the 1400 miles one way to the old Downing homestead to continue tradition. By this time the R.L. and Ethel Downing family had grown dramatically, what with married daughters, sons-in-law, and grandchildren. The family gathering became a major event, but the traditions and spirit never changed. It was always good to be home. Today, the torch has been passed, and my father-in-law and my parents have gone on to their rewards, and whatever Christmas tradition exists now lives within my family, and the families of my sisters. Each of us now has a combination of children, grandchildren, even great-grandchildren, in-laws, and spouses who have in turn created some sort of Christmas spirit and tradition within themselves. Shirley and I are finding that we are spending more holidays at the homes of our children rather than our children migrating to our home. As a result, with our home no longer the center of the action, we are finding less incentive to heavily decorate. This year, 2018, will be the first time in 57 years of marriage that we will not have a decorated Christmas tree in our home. In Disney's "The Lion King," it is celebrated as the "cycle of life." We have entered a new phase of life...the "fragile seniors stage." I can only hope that, in years to come, as my children and grandchildren approach the September of their years, that they, too, can look back on childhood memories replete with the warmth of family love and harmony.